Are you thinking about becoming a vegan or are you already one just looking for ideas on a better diet plan for yourself? Either way I will help you in choosing a good vegan diet plan that will keep you looking your best for a long time or as long as you follow threw with it. 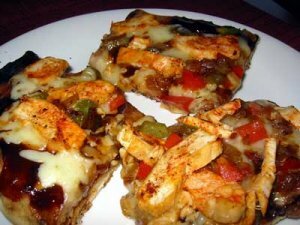 There are different diet regiments that you are going to have to follow. As a vegan you are already not getting some of the every day vitamins, minerals and nutrients your body need. What Foods Should I Eat As A Vegan On A Diet? Being as though you are vegan, do not think that you are limited to what you can eat while you are on a diet. But I do want to tell you to be very careful and if you have to take a supplement or vitamins and minerals on top of your daily food intake to keep and gain any vital nutrients that may have been lost. I will post up a list of healthy foods you can eat, to maintain a good vegan diet and healthy body. If at all possible when you shop you should try to get organic vegetables. Vegetables even if they aren't organic are still one of your best options. Nuts especially peanuts since they have a lot of protein in them. Tofu should be eaten in moderation. Brown rice which has more nutritional value than regular white rice. What Foods Should I Stay Away From As A Vegan On A Diet? This is an example of a diet plan for a day of dieting as a vegan. Breakfast-1 cup of oatmeal with fruit in it. A piece of dry wheat bread. 1 cup of soy milk and a glass of water. Lunch-A garden salad with almonds and cranberries in it sprinkled with a small amount of seasoning. 1 cup of fruit juice and a glass of water. Snack- 1 cup of mixed berries and nuts topped with a soy yogurt. An 8 ounce glass of water. Dinner-Vegetable burger on a whole wheat bun with lettuce, tomato, onion. 1 cup steamed vegetables. 1 cup of fruit juice and an 8 ounce water. I hope that I have helped you at least a bit in your attempts to have a healthier way to live and care for your body the right way. 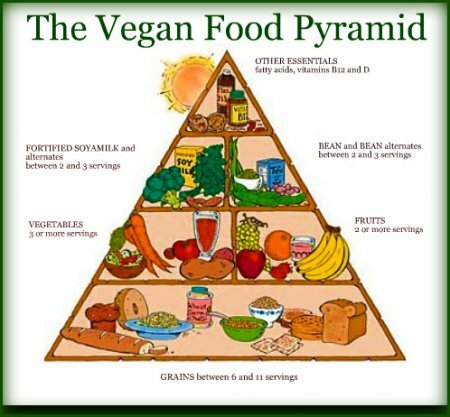 This is an image og the vegans food guide pyramid. Share a link to a page on Vegan Diet Plan and we will consider it for placement on this page.